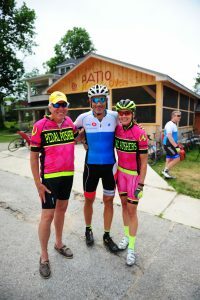 Pedal Pushers includes a variety of “guest ride leaders” on most clinics. These cyclists are expert level cyclists with years of road riding experience who enjoy giving back to their sport. We are thrilled to have them as part of our clinic experience. Noelle Wansbrough – coach/owner has over 20 years experience in competitive cycling and coaching. Achievements include podium finishes at the Canadian National Championships, Centurion Canada, Canada Cup , Ontario Cup and B.C. Cup Mountain bike races. 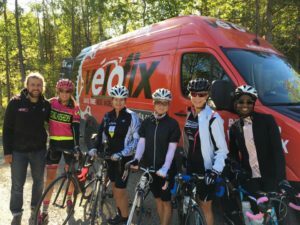 Noelle has been named Centurion Canada’s and Move Canada’s “Inspirational Coach” is dedicated to promoting cycling and fitness for all levels of riders on and off road. Stephanie Martinek – coach has a BSc (biochemistry & nutrition) from the University of Guelph, 20 years of experience in competitive & recreational cycling. Her passion for cycling & sport and coaching combined with years of racing experience; make Steph a top level cycling coach. Lesley Johnston – coach has over 15 years experience road and mountain biking in Ontario as well as Arizona, Spain, North Carolina and California. 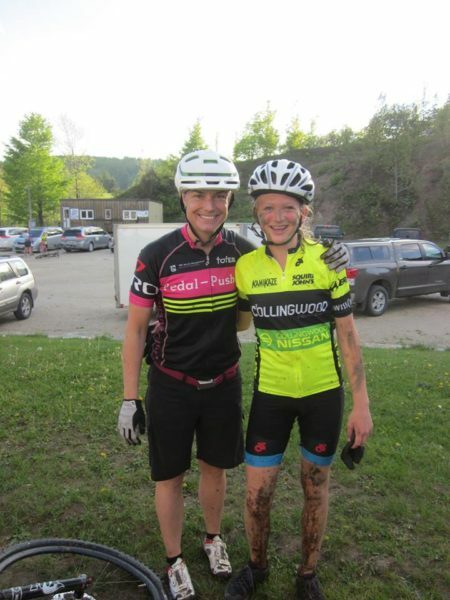 Lesley is the ladies ride leader for the Barrie Cycling Club and has had podium finishes at a variety of races including Paris to Ancaster (2006) and the Epic 8 Hour MTB Relay. Lesley races for Bikezone out of Barrie and enjoys encouraging riders of all levels to achieve their goals and gain confidence on the bike. Mike Perejmybida started his career in the cycling industry over 10 years ago when he realized he could combine his passion of cross country mountain biking with his mechanical aptitude. He most recently held the prestigious position of service manager. Mike is fully certified through Shimano and Sram and Trek University. One of the best aspects of his job was giving back to his community in supporting local cycling clubs and charity events. Robbie (Noelle’s father) is an avid cyclist and brings that fatherly touch to all the clinics. His good humour and positivity makes all our clients feel at ease the minute he arrives on site. He is always happy to help out any way he can whether it’s fixing a flat tire, providing entertainment or setting up our snack stand at the top of Pretty River climb. Thanks again for a another great day of cycling…I learned a ton as always and got a fantastic workout.